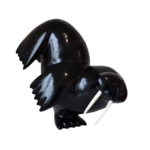 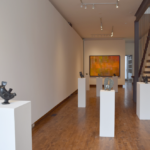 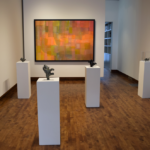 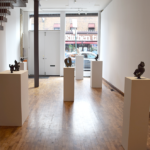 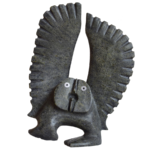 Exquisite hand carved sculptures of dancing bears, playful walruses and animated owls from Cape Dorset celebrate movement and the holistic sense of well-being and happiness. 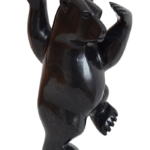 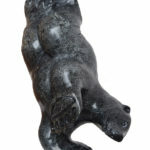 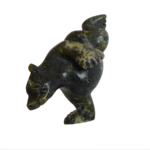 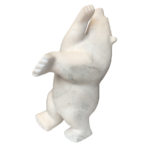 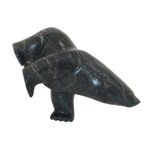 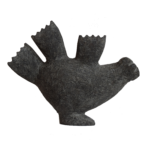 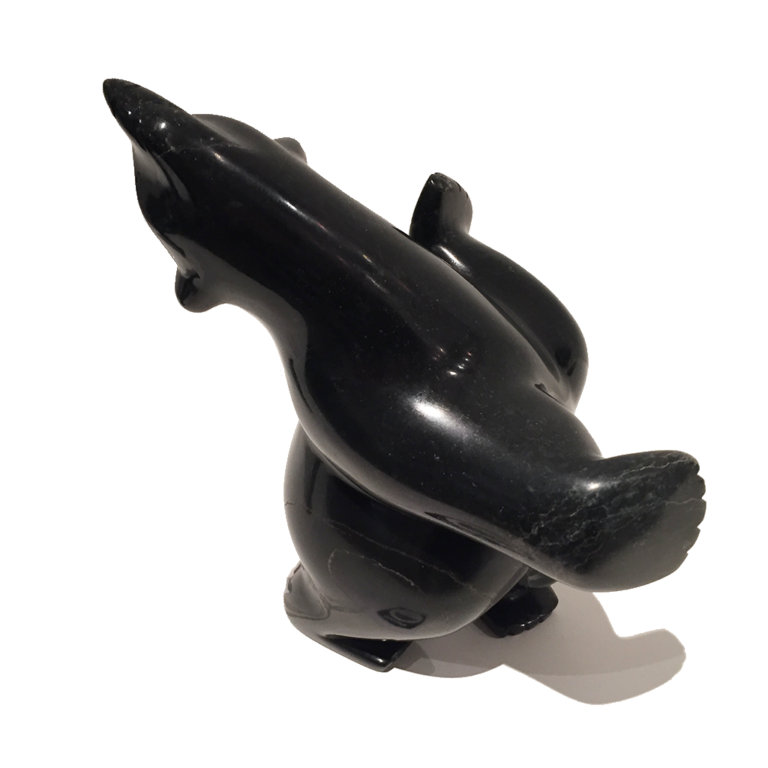 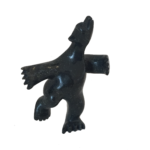 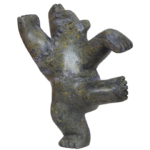 ‘Dancing Bears’ are prolific and the most highly sought-after subjects in Inuit art. 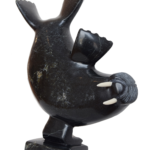 Hand carved from a single piece of stone, these sculptures are one of the most challenging forms to achieve because they are created to balance on one leg. 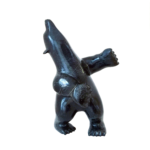 These playful animals are rendered as having human-like qualities, signifying the transformation between shaman and spirit helper, or spirit animal. 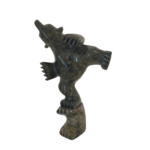 Depicted standing on their hind legs or balancing on one-foot, the grace and movement of the carvings is an expression of joy and happiness.